Beautiful! Love the shading on the butterfly! Thanks, Amy! I really wanted it to pop! Love your card! 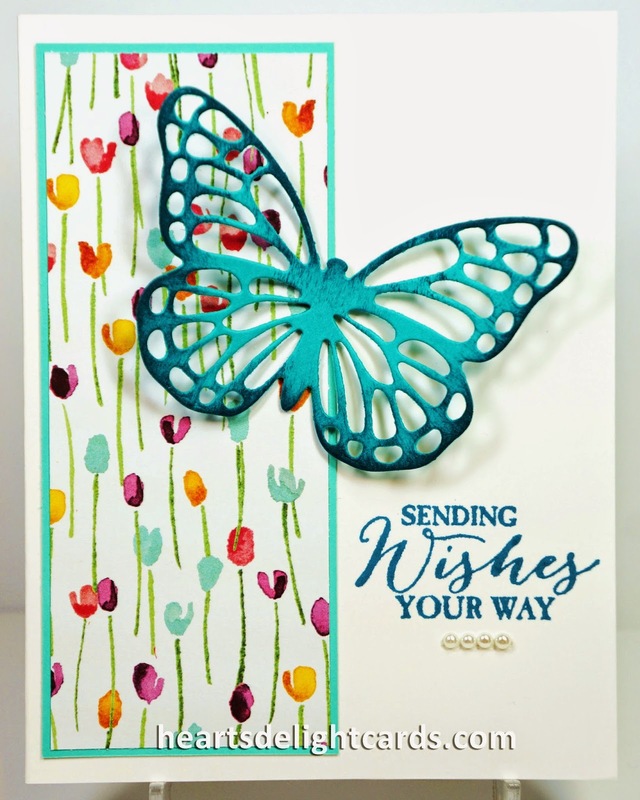 New butterflies dies are so beautiful! Love the card and the butterfly is to die for. I certainly hope that no one expected cards from me this year. I have 1/2 of them addressed and they are still sitting on my desk. LOL. I'm not late....just ahead of the game for next year! I love your card--the clean fresh look of the design and colors. Your butterfly is lovely. TFS. I love your card and would love your permission to duplicate it. Also,could you tell me your measurements for the layering pieces? Leah, I don't remember since it was so long ago. Looking at it, I'd guess the Designer Series Paper was 2" x 5" and the mat behind it was 2-1/8" x 5-1/8". I hope that helps! Forgot to add - of course you may duplicate it!! !